Creating something handmade as a gift makes Christmas special. Pull up a chair and get some creative ideas for making handmade gifts that will wow the recipients. Watch the video below or click here (December 2016 Release Class - Kindness Quick Card Set) to watch it on YouTube. Don't forget to subscribe to our YouTube channel so that you don't miss a single tutorial! Let's take a look at more examples of clever handmade gifts that you can create using products from My Favorite Things! A card set is a great gift to give allowing someone else to share handmade kindness! 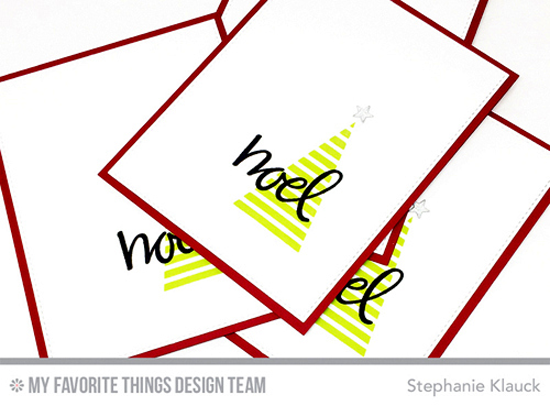 You can create a thank you card set like Karolyn did in the video, or whip a simple batch of Christmas cards like these made by Stephanie featuring the Hand-Lettered Christmas and Oh Christmas Trees stamp sets. If you have an avid reader on your gift list, bookmarks are a fantastic stocking stuffer. 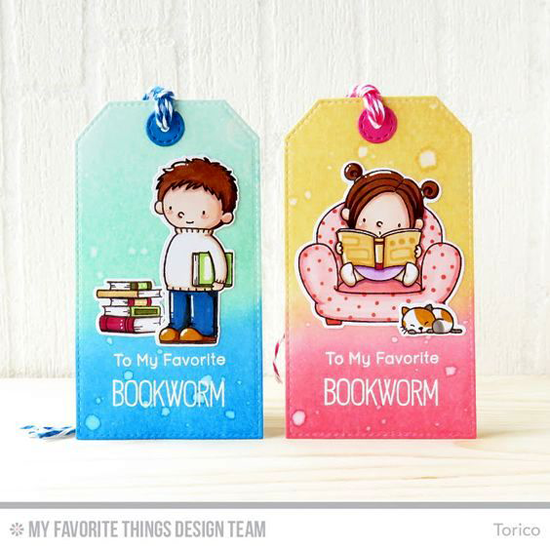 Torico created two crazy cute bookmarks using the Our Story stamp set and Die-namics. Pretty ornaments are always a thoughtful gift! 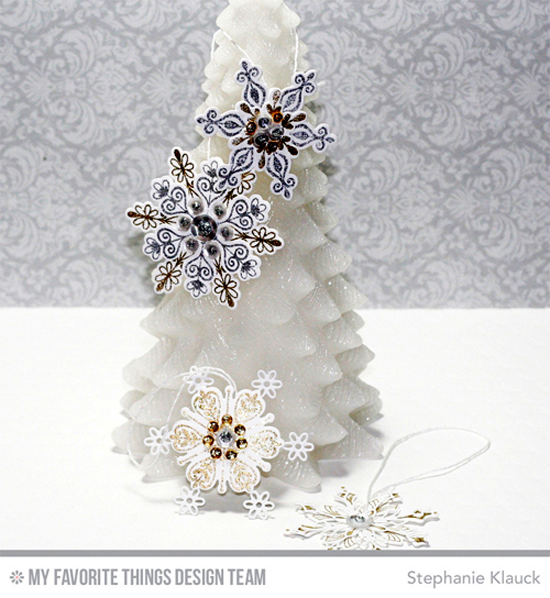 Stephanie used the Simply Snowflakes stamp set and Die-namics and Stylish Snowflakes Die-namics to create these lovely and intricate ornaments. You can watch a video of how she made them HERE. You will LOVE creating handmade Christmas gifts! Be sure to tag #mftstamps when you post your projects online. We can't wait to see what you've made! I really enjoyed the video. I agree the pop of colour is just fab with the black and white!